The past week has been an important one for digital advocacy. In a matter of days, two major organizations, Susan G. Komen for the Cure and CNN, were forced into decisive action by the feminist and LGBT communities respectively. Supporters used Twitter, Facebook, blogs and message boards to rally their proverbial troops. Proving, once again, that the power lies with the people, and when we choose to lift our voices, we can prevail. They make it look easy. Under duress Komen reversed its decision to indefinitely defund Planned Parenthood, and CNN placed commentator Roland Martin on suspension for homophobic tweets. Each of these results were achieved within days of a concerted outcry. It seems as though Black folks are the only interest group who can't coordinate digitally to effect change. When black communities are attacked--which happens daily--why do we have so much difficulty spreading an effective, unified message? We rarely wield the power to force anyone's hand. These social media successes were not flukes, they were facilitated by existing structures embedded within the communities. Structures that African Americans simply do not have. Or perhaps we have them, but we have not yet figured out how to use them to our best advantage. Much discussed has been the digital divide which explains disparate access to the internet's wealth of resources in communities of color, but we have yet failed to address how men and women of African descent have not fully tapped into the power of digital spaces and social media to address malicious media misrepresentation and corrosive public policy. Yes, there exist startups like ColorofChange.org, but Black communities lag behind in response to offensive onslaughts. We're in a new age, where those who cannot make their voices heard quickly will be swept under the rug just as we've always been. When Susan G. Komen for the Cure announced it would no longer provide over $600,000 in funding to Planned Parenthood for breast cancer screenings, the feminist blogosphere swooped down with its unmistakable fury. Pro-choice bloggers and tweeters quickly organized a well-coordinated assault, overwhelming the organization's official social media pages with calls to action. All the while, top feminist blogs were continually updated with the mission's progress. These actions worked because top Komen officials did a terrible job of handling the controversy in the first day, and the furor shook the organization to the core, prompting the resignation of one of its conservative VP of Public Policy. To be certain, this was a groundswell. The Planned Parenthood cohort crosscut many groups. There was no Feminist Boule gathered in a dark room plotting strategy. The amorphous feminist blogosphere occupies enough territory to disseminate the message quickly. Supporters know when to act and how to do so with speed and fervency because they had a single goal. The Komen case should be a model for African American reaction to policy decisions that negatively impact our communities. The trouble, it seems, it that we are so diverse in opinion that we cannot decide on a single goal. 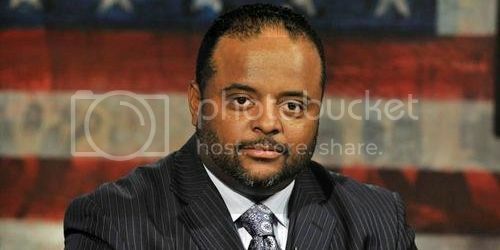 The Gay & Lesbian Alliance Against Defamation (GLAAD) spearheaded suspension of Roland Martin provides another example of coordinated, effectual digital activism. After Martin's controversial tweets, the group responded to him from their official account almost immediately. In contrast to the previous case, this was a top down operation. When GLAAD strikes, a community follows. With remarkable speed, they drafted a petition for Martin's firing and a press release about the incident which resulted in several media hits and sparked discussion. Unsurprisingly, many African Americans rushed to Martin's defense insisting that he had been unfairly targeted. Whether you agree or not, at the end the day GLAAD did its job. I'm sure the next time a moderately successful social commentator gets the urge to spew homophobia, they'll think twice. Time is of the essence in the 24 hour news culture, and Black America's national clearinghouses always seem to be a step behind. Though the bounds of Blackness are far too expansive for a single agenda, there are boundless opportunities for us to strike back because everyday there are policies passed that adversely affect the lives of Blacks in America and abroad. Communities of color must use both grass roots and organizational responses to counter the constant attacks on our rights and persons. Instead of being critical of "gay mafia" or "feminazis" who can pull together a digital demonstration effectively, we need to be build our own organizations and networks that can do the same.